As one half of Swan Dive, Nashville-based songwriter Bill DeMain has already released nine acclaimed albums over the past decade and a half with his singing partner Molly Felder. He’s also written songs for, and with, many other artists, including Marshall Crenshaw, David Mead and Boo Hewerdine and Lojinx label-mates Bleu, Kim Richey and Farrah. 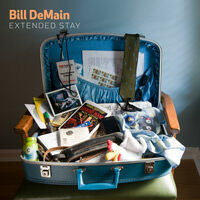 Bill DeMain's first ever solo release, the "Extended Stay" EP, is out now. Ingrese su dirección de correo electrónico para Bill DeMain noticias y actualizaciones relacionadas.